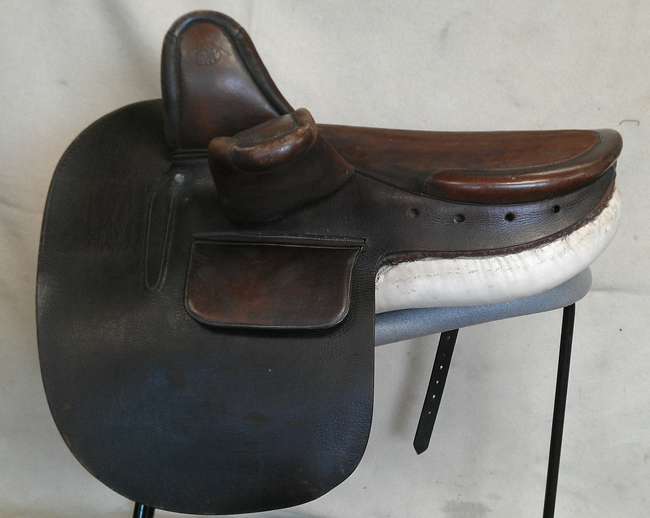 Here at Laura Dempsey Saddler, there are a selection of new or used Side Saddles for sale on behalf of owners or as direct sale. These vary in condition and repair is sometimes necessary, so prices reflect this accordingly. Fitting is imperative to ensure correct application, freedom of movement and comfort levels for both horse and rider. A small adjustment to the saddle panel can and does make all the difference to a balanced comfortable ride. OIRO - offers in region of. ONO - or near offer. 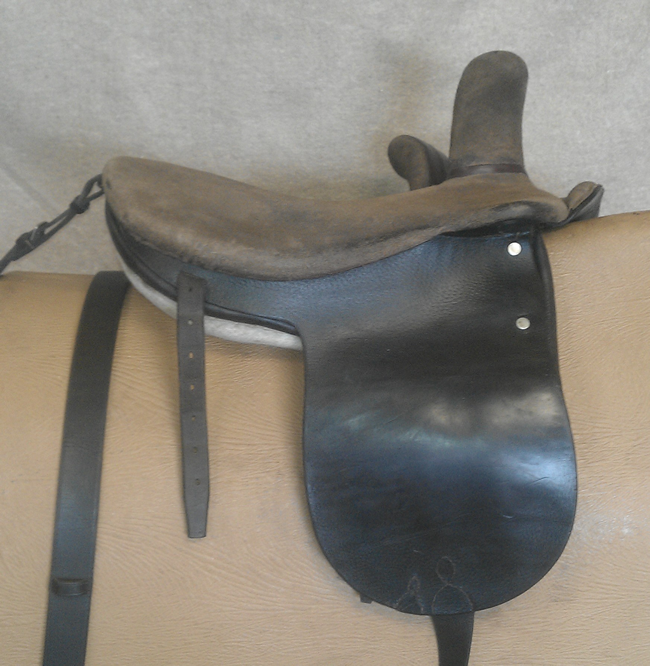 All measurements of saddles are from the cut back at the front to the centre of the cantle. 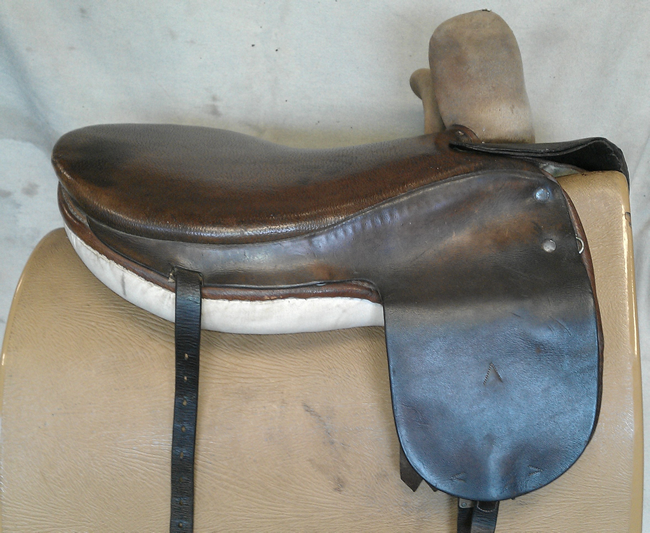 For European and American measurements add approximately 4"
13 1/2" childs saddle. Full suede seat. 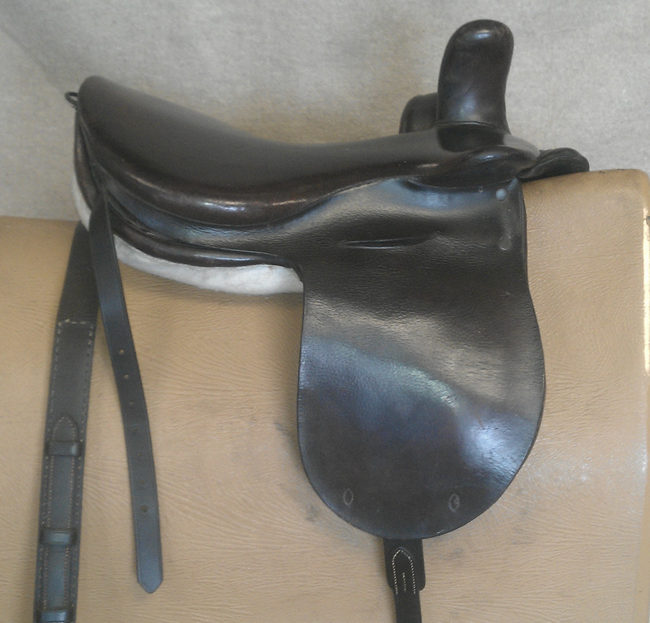 Includes crupper and Balance girth. 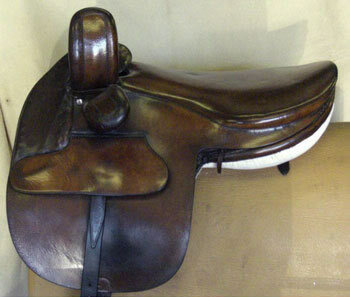 14" Beautiful childs Victorian saddle with embroidered Safe. Doeskin seat. Wickham Pad covered with leather and linen. Includes stirrup leather. 14" Childs saddle. No name but could possibly be made by Calcutts. Mayhew safety fitting. Full suede seat. Outside girthing that can be adapted to inside. Includes stirrup leather & iron. 17" Champion & Wilton show saddle. Includes stirrup leather & iron. 17" beautifully refurbished Owen. Like new. Suede seat and pommels. 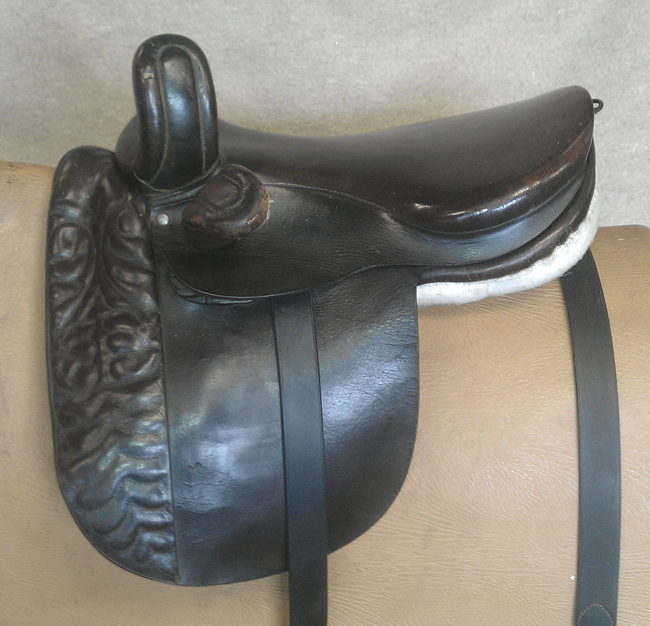 Includes new 3-Fold girth, Balance girth, stirrup leather & iron. Leather seat. Narrow pommels. 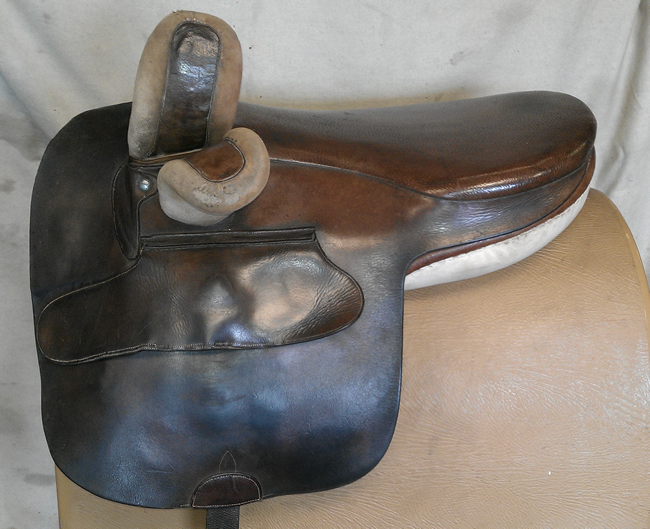 Includes stirrup leather & iron. Doeskin seat. 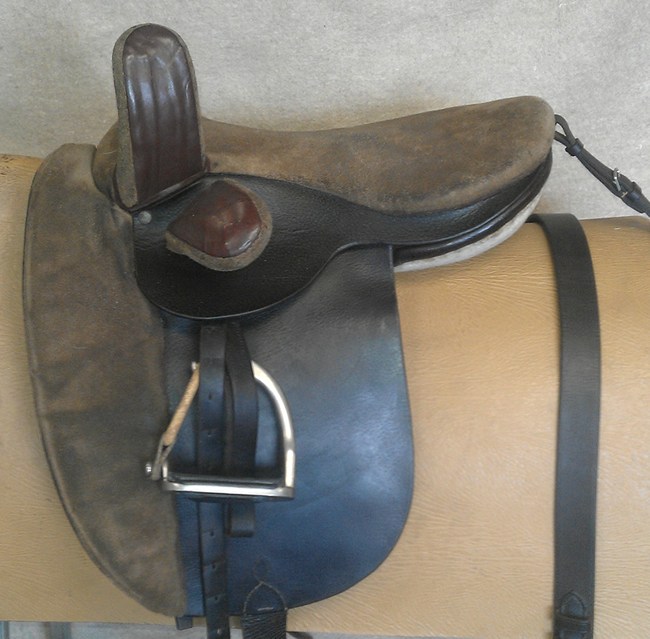 Gullet liner missing (this is aesthetic only and doesn’t affect the saddle. Can be added for extra). 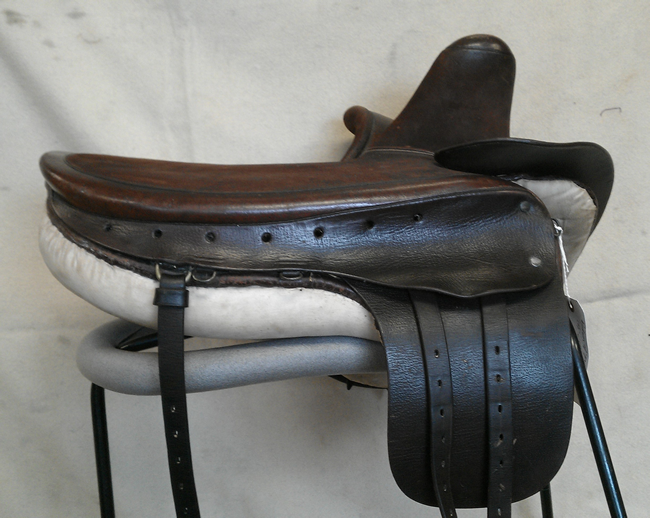 Includes leather & iron and Lampwick Girth with Balance Girth. 17 3/4" Champion & Wilton. 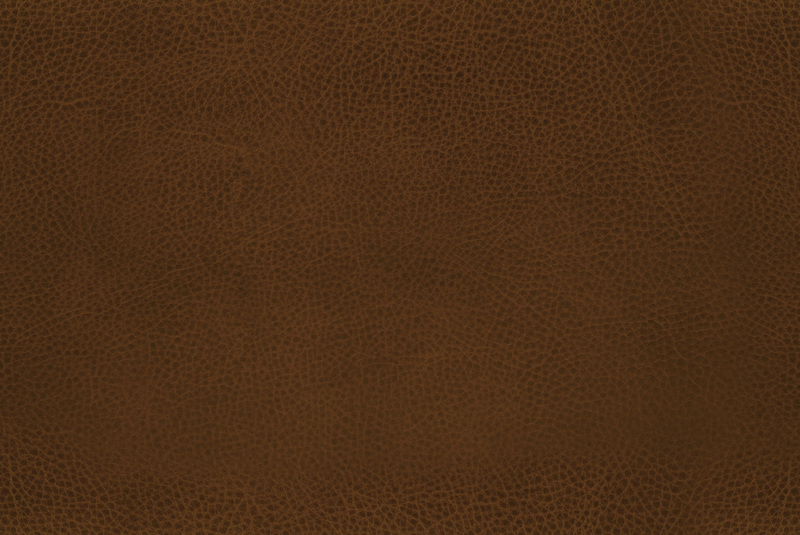 Leather seat with Doeskin pommels. Was a hunting saddle.